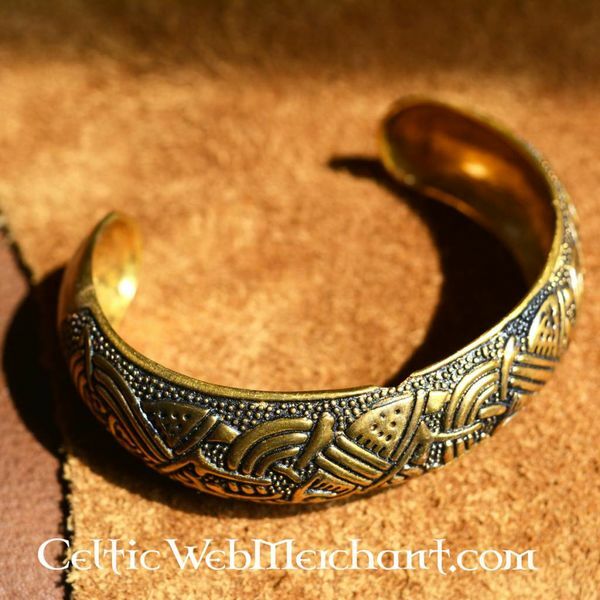 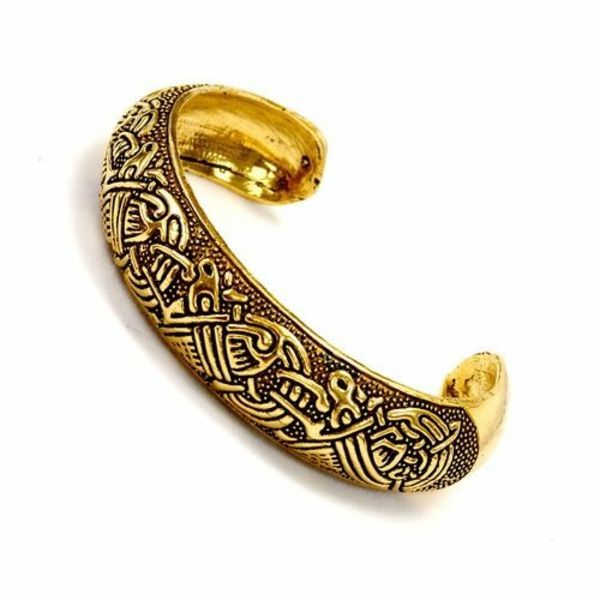 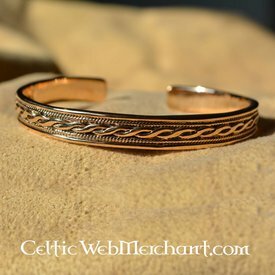 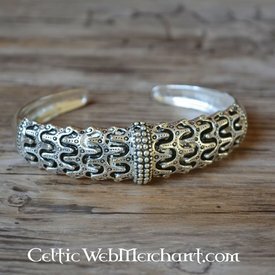 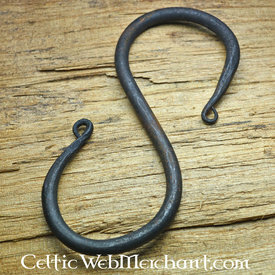 This brass bracelet is decorated with Old-Irish motives. 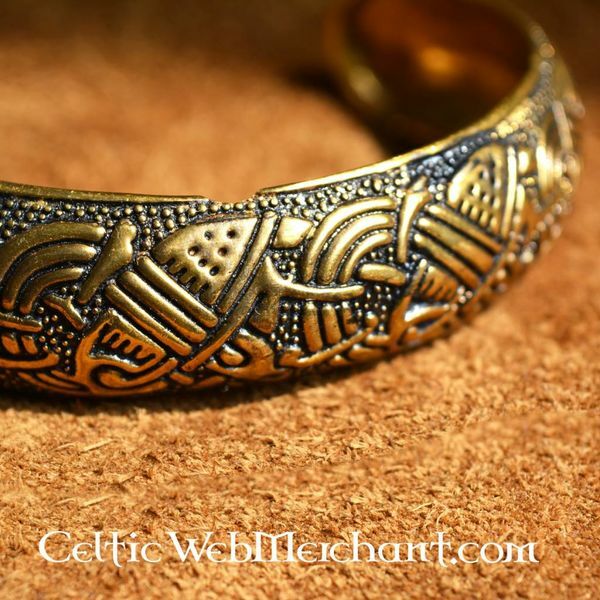 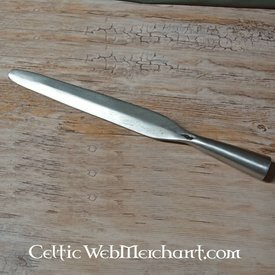 The motives are originally depictions in Irish manuscipt. 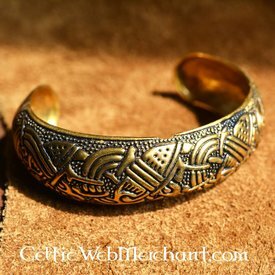 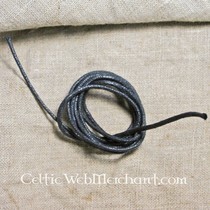 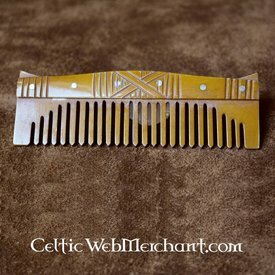 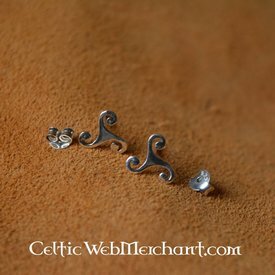 The Insular Celtic art style (Old-Irish art style) often shows Anglo-Saxon, Germanic and Byzantine influences. 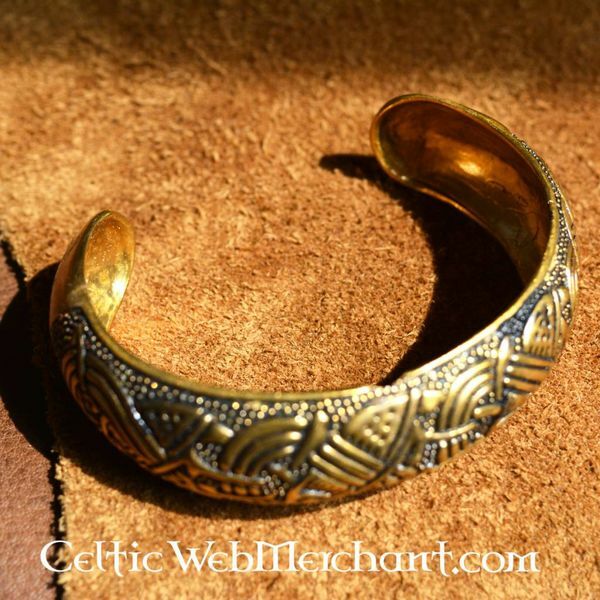 This bracelet measures 7,5 x 6,5 x 1,8 cm and is suitable for a wrist circumference of 16-19 cm.